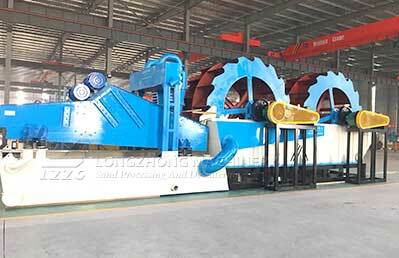 The double wheel sand washer is a new type of sand washing machine in our comapny, and it is good at docking two wheel bucket washing with find sand recycling machines.What’s more, it integrates heavy water washing and fine sand dehydration and recycling. An American customer has found the double wheel sand washer online for a long time, then he compared this product of LZZG with other conpanies, finally tured out that LZZG ‘s product and after-sale services were the best, and he was very satisfied with us.Therefore, he made a deal with LZZG. Next：How the No.6 find sand recycle machine operate?